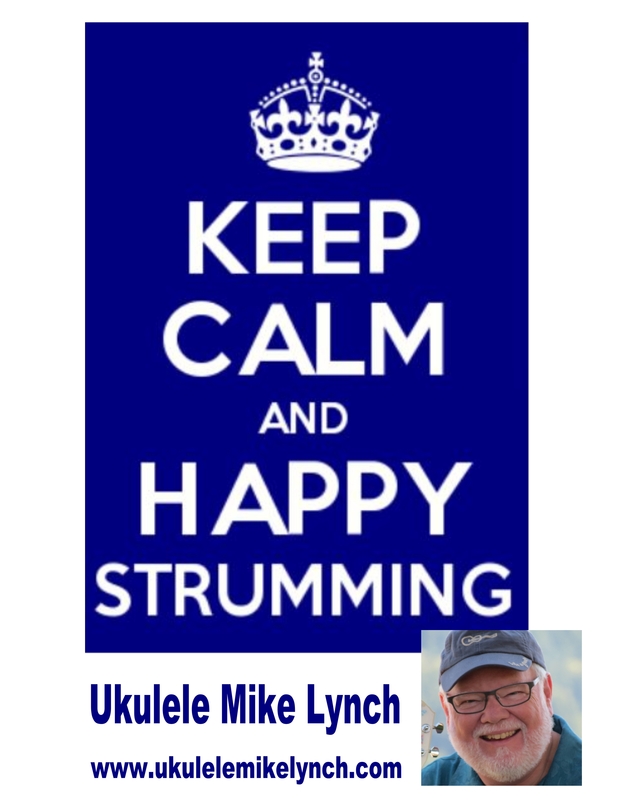 “KEEP CALM AND HAPPY STRUMMING” – A New Year wish from Ukulele Mike with an additional little surprise . . . Playing the Ukulele is, without doubt, the most stress free thing anyone can do. I definitely recommend that every human being on planet Earth be granted a ukulele at birth. If everyone played the ukulele we’d have no more wars and people would be happier and without stress. If you don’t play the ukulele already then make it a New Year’s resolution to do so. . . It’s fun, easy and ever so gratifying.